Boasting a rather unique layout, this substantial apartment offers generous accommodation and occupies a particularly attractive top floor position with enviable tree lined views towards the river. Located in a super convenient development with much positive press surrounding the area due to the commencement of a new base of Barclays Bank to be built nearby. Accessed from a controlled entry, the property has a communal hall with stairwell and comprises of a welcoming entrance hallway with deep storage cupboard, the spacious lounge has room for dining and a sliding door to shallow balcony offering views across the well kept communal gardens and towards the Kingston Bridge, there is a modern kitchen off which offers an electric oven, microwave, hob, washing machine, dishwasher and a fridge. The large master bedroom has wardrobes, balcony and en-suite facilities with shower enclosure and separate WC, the second bedroom is double in size with fitted wardrobe and there is a third single sized bedroom or good sized study which also features a balcony. And finally, there is a principal three piece bathroom with white suite, tiled walls and a shower over the bath. The property has electric heating, double glazing and a patrolled resident's car park. The development is very well placed on the southerly banks of the Clyde, just along from Springfield Quay offering a range of restaurants, bars, cinema and casino. The nearby 'Squiggly Bridge' gives easy foot access to the financial district and city centre. 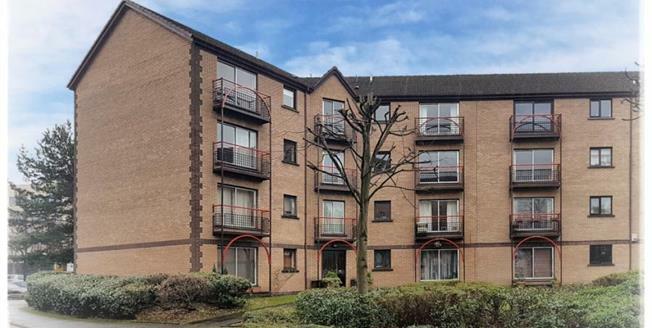 Handy for the city's universities, colleges and transportation links with nearby subway station and easy access onto the M8 and M74 motorway.